This is a great place to celebrate a special occasion, but you also can’t beat their amazing happy hour, featuring wine for $5.25 a glass, food at half the price, and martinis for $5.75 instead of $8 or $9 (Red Delicious pictured here). Happy hour takes place every night but Saturday from 4:00-7:00 pm. The menu features various sandwiches, their clam chowder and lobster bisque and several smaller plate entrees like calamari. If you want to check Pier W out but don’t have the cash for a full-out meal, happy hour in their bar is the way to go. However, this particular post is going to highlight my birthday meal. I love seafood, so I knew I wanted some good seafood. Some girlfriends and I met at the bar for a couple drinks and then we moved to the dining room for a delicious meal. I enjoyed several Red Delicious martinis (Laird’s Apple Jack Brandy, apple cider, Chateau Pommari, creme de cassis in a glass with a cinnamon sugar rim) before dinner. I loved the cinnamon sugar rim. It added a really nice touch. 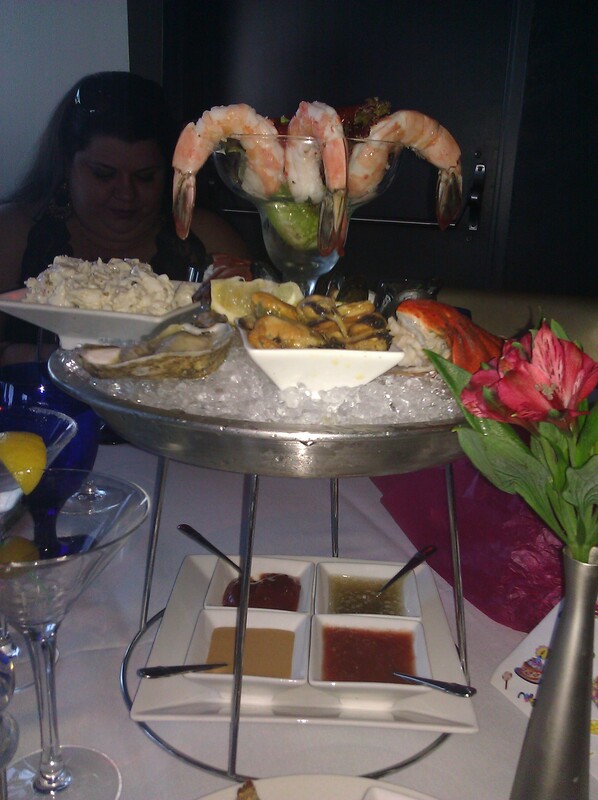 We started by sharing the Iced Seafood Tower. It costs $42 and feeds 3-4 people. It contained all kinds of delicious seafood favorites. It features jumbo Gulf shrimp, poached lobster, oysters on the half shell, chilled mussels and crab salad. The tower was accompanied by four different dipping sauces, which we thoroughly enjoyed. I loved everything about this, but the chilled mussels were my favorite. I left the oysters to my friend C., who loved them. I also thoroughly enjoyed the crab salad, which was a nice surprise. It goes without saying that the shrimp and lobster were outstanding. The bread was fresh baked, and we had two kinds to choose from. The butter was soft and luscious (one of my biggest pet peeves is when the bread is served with rock hard butter). 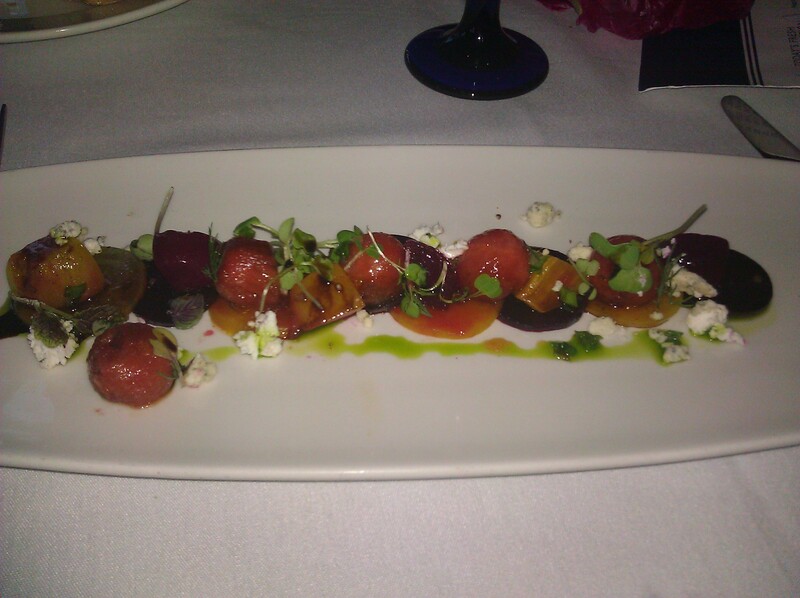 I ordered the Wood Roasted Heirloom Beet Salad featuring blue goat cheese, marinated watermelon, aged balsamic vinegar, dill oil and red shiso (whatever that is). Beets and watermelon together in one dish? Yes please! All the different flavors really melded well together. It was light and refreshing, and I loved every bite. 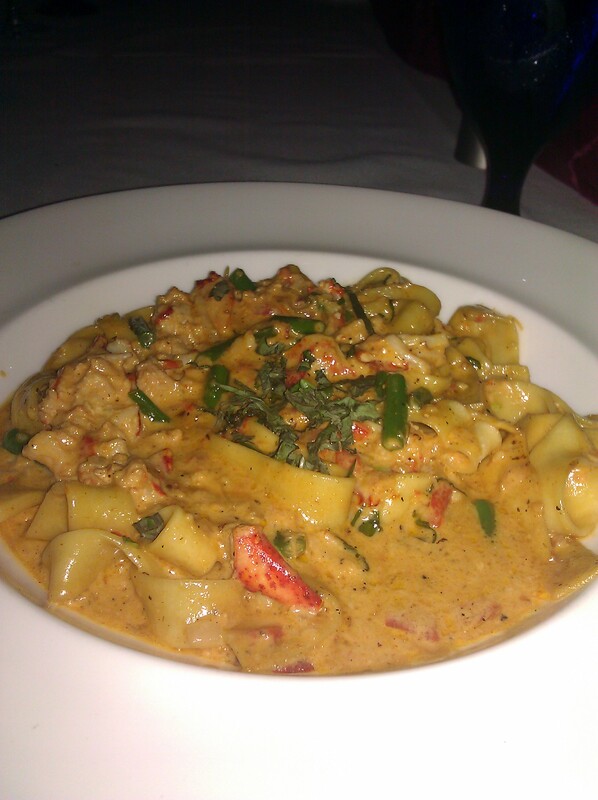 Being a huge lobster fan, I ordered the Fresh Lobster Pappardelle for my entree and (since I had thoroughly enjoyed the seafood tower and salad) took most of it home to enjoy the next day. It featured fresh Maine lobster, fresh pappardelle noodles, roasted red peppers, and haricot verts in a light cognac cream sauce. Wow, it was amazing. I would definitely order this again. Everyone was really pleased with their meals, and the service was just as attentive as you would expect at this five-star restaurant. 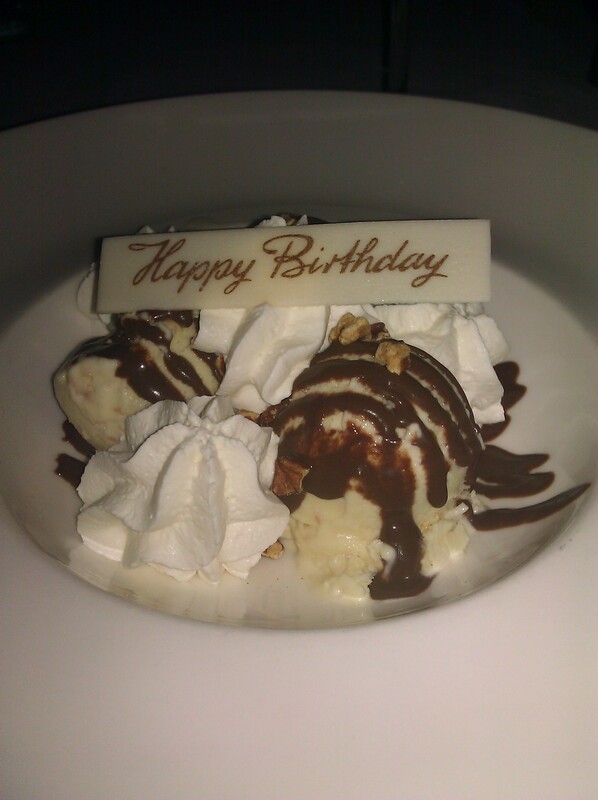 The staff at Pier W surprised me with this delicious birthday sundae with extra spoons for my friends. 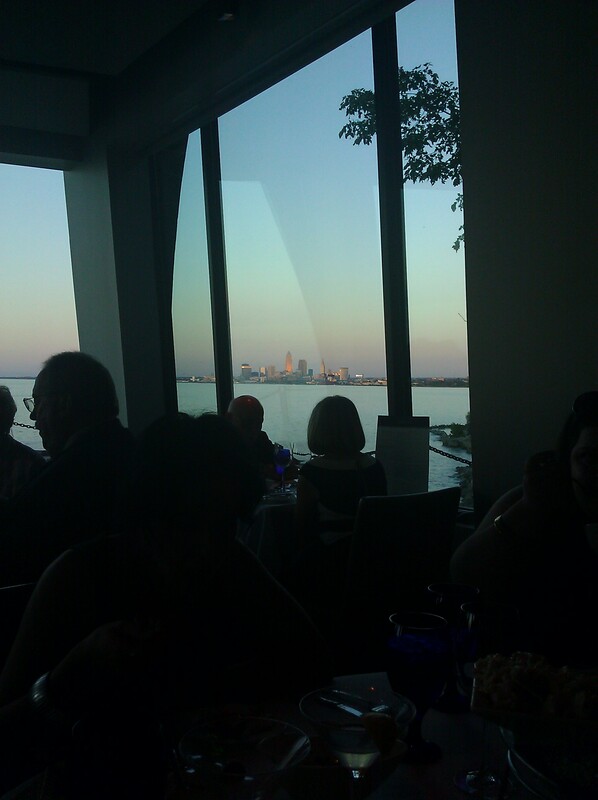 It was a great touch to cap a perfect meal.